Aimed at real estate professionals, the 20hrs CPD certified "Investment Grade Real Estate Modelling" program provides the best practice techniques and skills needed to construct complex and flexible investment grade financial models, that assess the financial credibility, risks and returns of acquisition and development investments. The home study program allows users to complete the course flexibly based around work and their private lives. The Investment Grade Real Estate Modelling program follows on from the beginners training program “Mastering The Modelling Test”. The investment grade educational program further broadens the application of real estate financial modelling practices. 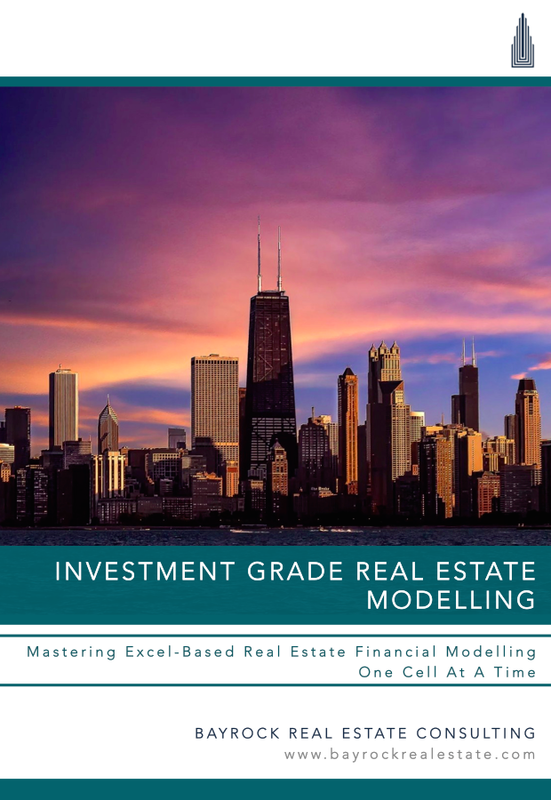 The intermediate guide focuses on the skills and processes used within the professional real estate investment industry when creating and analysing investment appraisals. Aimed at real estate investment professionals, analysts, real estate consultants, banking professional and prospective real estate candidates, this course will provide the best practice techniques of constructing flexible investment grade financial models, that assess the financial credibility, risks and returns of property investments. The program follows a step-by-step guide, explaining how to build a real estate model one cell at a time for a specific transaction scenario. The scenario is complex in nature and incorporates numerous tenants, commercial, retail, parking and naming rights income, re-development opportunities, complicated costing structures and sophisticated debt financing services. The training program will show how to present data and construct rental, costing and debt formulaic functions in order to value and appraise property investments. Additionally, the course will provide an introduction into performing Monte Carlo simulation, producing equity waterfalls, partitioning IRR returns and constructing development cash flow modelling. Please find below, program FAQ's, product details, course outline and product pictures. + What is included in the program? 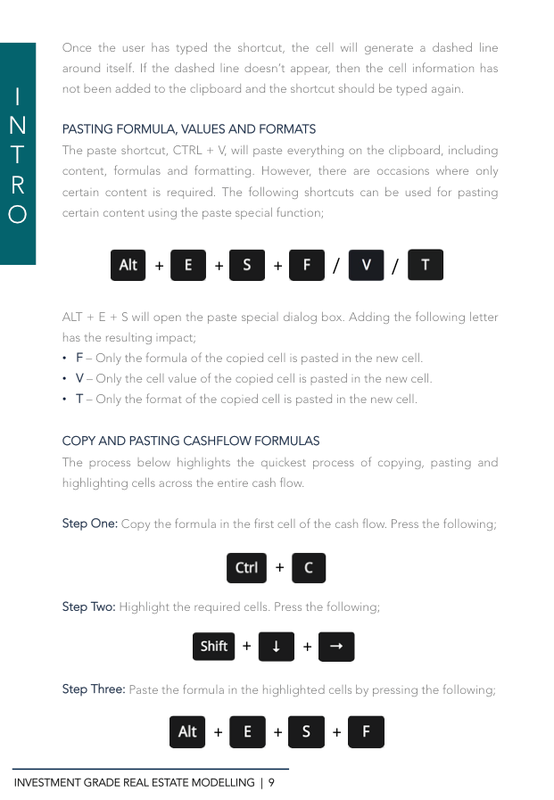 The digital download program includes a PDF guidebook and the corresponding Excel Workbook. The program also includes a complimentary copy of Mastering The Modelling Test. + How long does it take to complete the program? The length of time its takes a user to complete the program is heavily dependent on their real estate finance and Excel expertise. On average, users complete the program within a few days. The program can be completed offline, allowing users to complete the program flexibly around their work and private lives. + How do I purchase and download the program documents? Once purchased, two emails will be sent to the designated email address. The first will include confirmation of the purchase and the password to open the documents. The second email includes a unique link to download the digital goods. This link will be active for 24hrs. Both, the Investment Grade Real Estate Modelling program and Mastering The Modelling Test will be included in the link. We recommend that users save a hard copy of all files to their computer and save an alternative version when completing the program. This eradicates accidental changes to the base model. Should errors occur, the 24hr link can be re-sent. + Can the program be used on several devices? Yes. The files are no different to regular PDF and Excel files. You can save them on several devices. However, the program can only be used by one user and not transferred to others. Password entries are monitored. + Does Bayrock Financial Modelling provide post-support services? We do not offer dedicated post-support service. However, if you have questions during the program or shortly after completing, one of our team will happily advise. + Does the program include a completion certificate? The registered user will receive a CPD certified completion certificate one month after purchase. This certificate can be used to register APC formal training hours to the value of 20hrs. + Is the program transferrable to other users? No. The program is only available to one user. Should you require cross-company modelling training, we offer corporate lifetime modelling program licenses. + What program should I start using first? 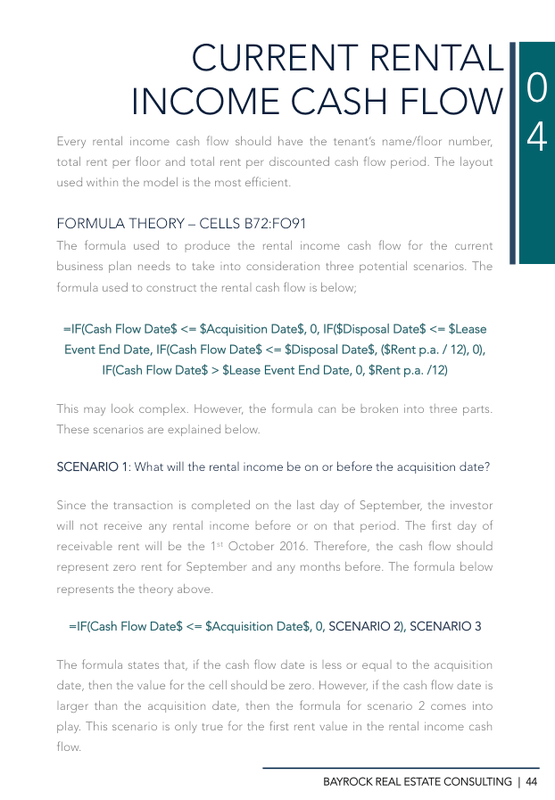 + Can I use the Excel model to run my own investment? No. We do not take any responsibility for any financial investments made using any Services and Products provided by Bayrock Real Estate and its affiliate companies. The information and opinions contained in our Products and Services are provided for informational purposes only, are subject to change without notice, do not constitute advice and should not be relied upon in making (or refraining from making) any decision. Development strategies - "Develop & Trade" or "Develop & Hold"
Sign up with your email address to receive news, updates and discount offers.